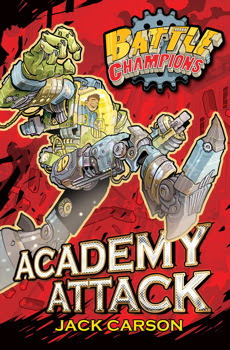 An exciting new series for 7+ readers about giant machines that fight like gladiators. Tommy 'Titch' Darwin enrols at Marshall Johnson's Battle Academy. Training is tough, but Titch is determined to become a battle champion and follow in his father's footsteps. As battle lessons commence, Titch and his fellow students are unaware that baddie Wyatt Thorne is watching. He has two grudges - against Marshall Johnson and Titch (whose father defeated Wyatt on his first attempt to become a mech champion). Can Titch save the Academy from Wyatt and make the grade? Or will he fail at his first attempt to become a mech fighter on the championship trail? Titch Darwin and his Battle Champions team, Martha and Finn, have graduated from the Mech Academy and are finally on the Championship Trail! Titch hopes that following in his missing father's footsteps will help him discover the truth about his disappearance, but first he has to fight his own battles. 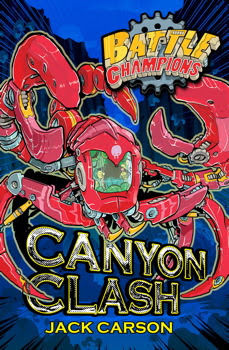 The first battle round sees the gang overcome their rookie nerves and reach the final, but now they face fighting one of the deadliest mechs of all: Scorpion. Before they can compete, Titch and his trusty Mech, LoneStar, come across a group of school children trapped in a rock fall. Titch knows he has to save them - but if he does, he risks forfeiting his place in the competition. Can he beat the odds and still win? Titch Darwin and his Battle Champion crew are on the championship trail again! 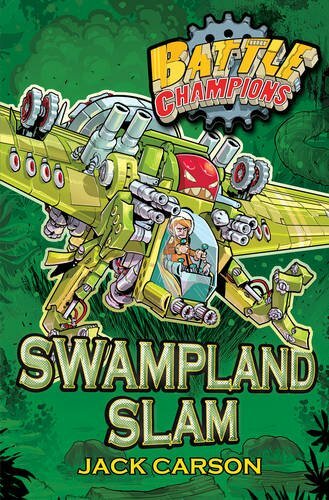 This time the fight takes them to deadly swamplands, and the team must work together to fight some of their fiercest opponents yet. Once again, Titch's trusty Mech - LoneStar - must compete in the ultimate test of man and machine. As every fight takes Titch nearer to finding out the truth about his missing father he must rise-up to the challenge and follow in his father's footsteps, fulfilling his destiny to be the ultimate Battle Champion. 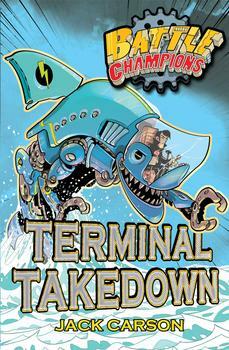 Terminal Takedown is the thrilling conclusion to this action-packed adventure series. Titch and his trusted team journey to the last stage of the championship - Ocean Terminal. The harbour will be the battleground for the final round of fights in this season's championship. But they find more in the legendary city than just a battleground - they finally uncover the truth about Titch's missing father.